My Workout Today Was a Real HIIT! My workout session today was truly a HIIT!! HIIT training calls for short quick blasts of very intense movement, followed by a shorter period of rest. Today we did a Tabata session, which is a type of high intensity interval training, also known as HIIT. Tabata’s are intervals of either strength or cardio that last 20 seconds followed by 10 seconds of rest. This is performed eight times in a row. You push yourself as hard as you can for those 20 seconds doing jumping jacks or push ups or lunges, and then you come to a complete stop and rest for 10 seconds. You keep repeating that until you complete eight sets. You can do pretty much any exercise you wish, just keep them simple like squats, pushups, rows and jacks - exercises that works your large muscle groups. Today we alternated strength and cardio and did a total of eight rounds. Fat burn is greater when exercise intensity is high and for years there has been a strong focus on calories burned during exercise, but new research reveals that it is also important to focus on what happen after exercise if over. Tabata workouts are designed to boost post exercise caloric burn so your metabolism keeps burning more calories long after the exercise is over. You gotta love that! It also pumps high quantities of oxygen into you during the workout and for many hours after. Here’s a little history of Tabata training: It was discovered by Japanese scientist Dr. Izumi Tabata and a team of researchers from the National Institute of Fitness and Sports in Tokyo who were training their speed skaters. Tabata and his team conducted research on two groups of athletes: one group trained at a moderate intensity level while the other group trained at a high intensity level. The moderate intensity group worked out five days a week for a total of six weeks; each workout lasted one hour. The high intensity group worked out four days a week for six weeks; each workout lasted four minutes and 20 seconds (with 10 seconds of rest in between each set). The results: group 1 had increased their aerobic system (cardiovascular), but showed little or no results for their anaerobic system (muscle). Group 2 showed much more increase in their aerobic system than group one, and increased their anaerobic system by 28 percent. In conclusion, the high intensity interval training has more impact on both the aerobic and anaerobic systems, burns more fat and keeps burning fat long after the exercise session is over. One really cool thing I want to add is that we did our workout to an amazing Tabata Workout CD, high intensity music and on the CD a voice did all of the call-outs: Get started, get ready for rest, Now rest. It was a no-brainer. 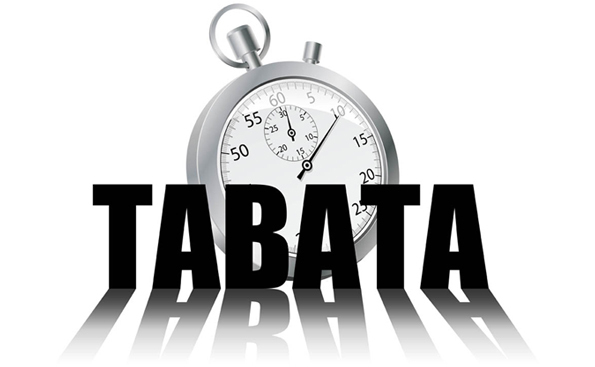 Just research Tabata CD online and you will find a bunch of them!